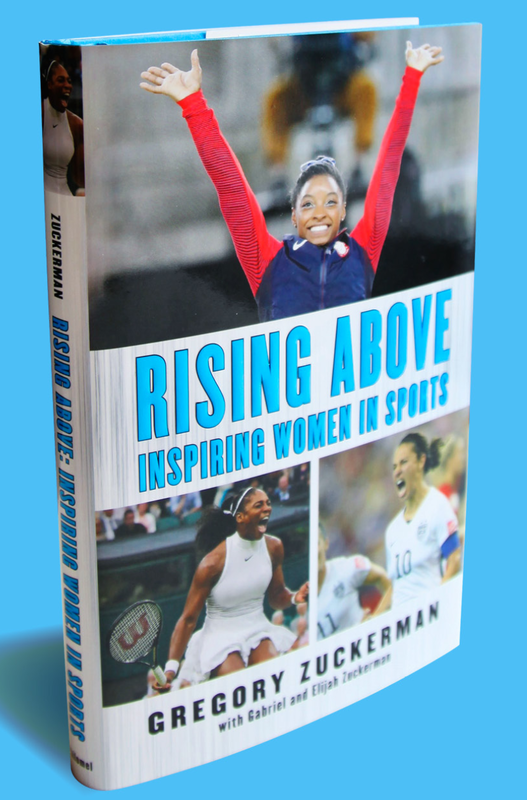 In this article Athletes Who Don’t Quit by TFK Kid Reporter Marley Alburez, Marley explains that Rising Above: Inspiring Women in Sports is a collection of tales about 11 female athletes who overcame challenges and never gave up. 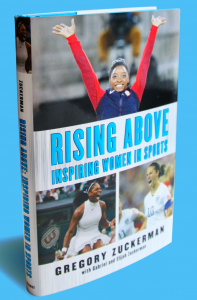 Chapters focus on athletes like gymnast Simone Biles, surfer Bethany Hamilton, tennis players Serena and Venus Williams and track-and-field legend Wilma Rudolph. These athletes’ encourage children. Their determination and perseverance are a lesson for children never to give up, no matter what other people say to discourage them. I love and am inspired by many amazing female athletes. Gregory’s sons Elijah and Gabriel Zuckerman helped him write Rising Above. “We decided to focus on female athletes because we think they do not get enough credit” Gregory said. “There are so many amazing, remarkable female athletes”. 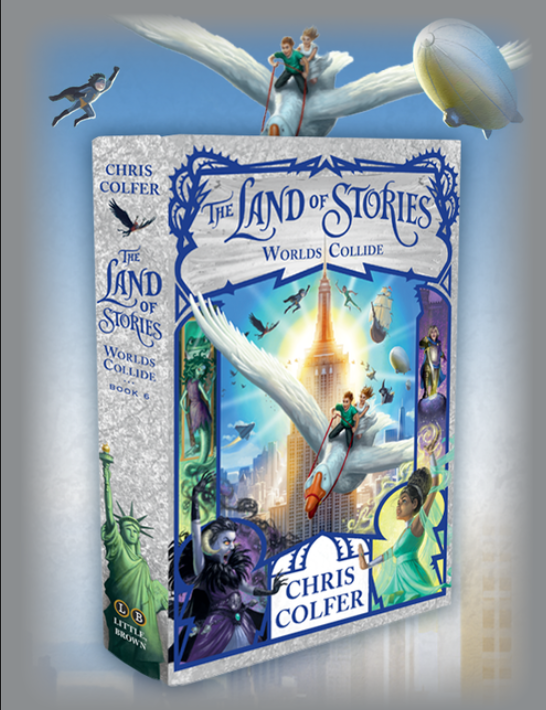 Elijah says the stories show that if you set your mind on a goal, you can achieve anything you want. Gregory Zuckerman is a special writer at The Wall Street Journal, a 20-year veteran of the paper and a three-time winner of the Gerald Loeb Award — the highest honor in business journalism. Greg is the author of The Frackers: The Outrageous Inside Story of the New Billionaire Wildcatters, a national bestseller named among the best books of 2014 by the Financial Times and Forbes magazine, and The Greatest Trade Ever: The Behind-the-Scenes Story of How John Paulson Defied Wall Street and Made Financial History, a New York Times and Wall Street Journal bestseller published in December 2010. At the Journal, Greg writes about big financial firms, personalities and trades, hedge funds, the energy revolution and other investing and business topics. Greg appears regularly on CNBC, Fox Business, Yahoo Finance, Bloomberg Television and various television networks. He makes regular appearances on National Public Radio, BBC, ABC Radio, Bloomberg Radio and radio stations around the globe. Greg gives speeches to business groups on a variety of topics. A graduate of Brandeis University, Greg lives with his wife and two sons in West Orange, NJ, where they enjoy the Yankees in the summer, root for the Giants in the fall and reminisce about Linsanity in the winter. Serena and Venus Williams are amazing at tennis. Serena had a baby not so long ago. Now she is back on the court. She is playing in the Indian Wells Masters. Venus is also playing in the Indian Wells Masters. Their father helped them get on to this path. Bethany Hamilton overcame the loss of her left arm in a shark attack to become a champion surfer and inspirational public figure.Born in Hawaii in 1990, Bethany Hamilton began competitive surfing at age 8. Her promising career was seemingly derailed at age 13 when a shark bit off her left arm, but she resumed surfing shortly afterward and won a national title in 2005. A successful author and public speaker, Hamilton has shared her experiences in documentary films and appeared on several popular reality TV programs. Bethany Meilani Hamilton was born on February 8, 1990, in Lihue, Kauai, Hawaii, to parents Tom and Cheri. Raised in a surfing family, along with older brothers Noah and Tim, Hamilton learned to handle the waves at an early age. She began competitive surfing at age 8, and by age 9 she had earned her first sponsorship.A member of the Hanalei Surf Co. team, the home-schooled Hamilton proved capable of beating more experienced surfers in competition. In May 2003, she won both her age group and the open division of Hawaii’s Local Motion/Ezekiel Surf Into Summer event. Shortly afterward, she finished second in the open women’s division of the National Scholastic Surfing Association (NSSA) National Championships at San Clemente, California. Personal: Daughter of Ronald and Nellie Biles. She has two brothers, Ronald and Adam, and one sister, Adria. She became the first woman to win four straight U.S. all-around titles in 42 years at the 2016 P&G Championships.Selected USOC’s Female Olympic Athlete of the Year (2014-15). She owns the most world medals in U.S. history (14) and the most world championships gold medals of any female gymnast (10). Favorite event is floor exercise.Began gymnastics in 2003. I think that women have a lot of power but they do not get enough credit for all the amazing things they do. Men do not have all the power and they should not get too much credit. I think female and male athletes are equally the same. They should have same credit. They have the same power. That is why I am glad that Gregory Zuckerman and his sons wrote this book.